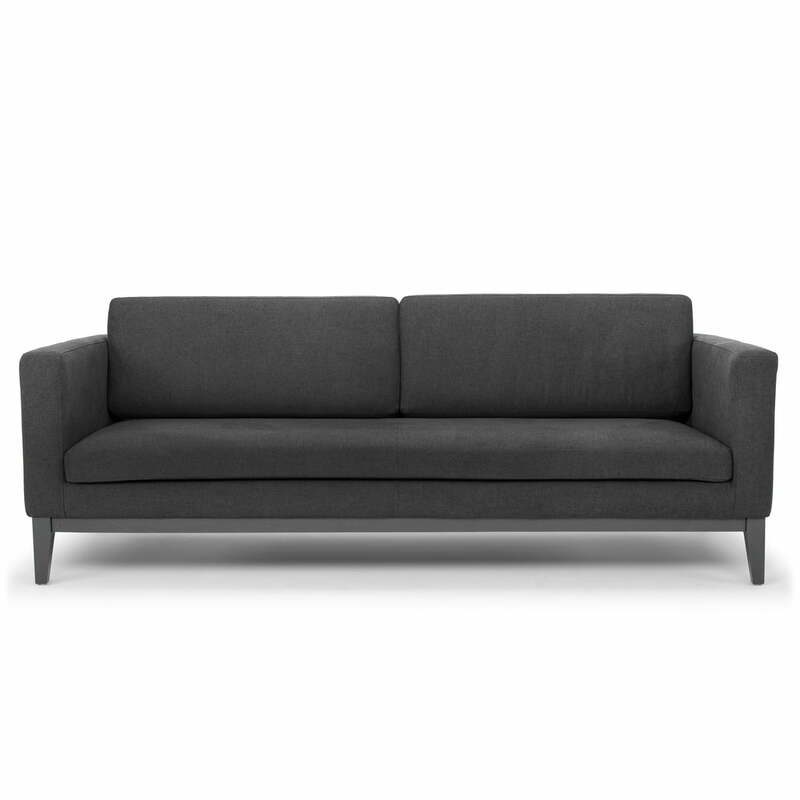 The Day Dream sofa is available in various upholstery colours with a matching base coat. The Day Dream armchair and footstool are also available to go with the sofa. Isolated product image of the Design House Stockholm - Day Dream armchair, light grey. The Day Dream sofa by Design House Stockholm is closely related to the Day series and is characterised by its modern look in the typical Scandinavian design. Isolated product image of the Design House Stockholm - Day Dream armchair, dark grey. The straight-lined upholstery sits enthroned on a pine frame with angular beech legs. 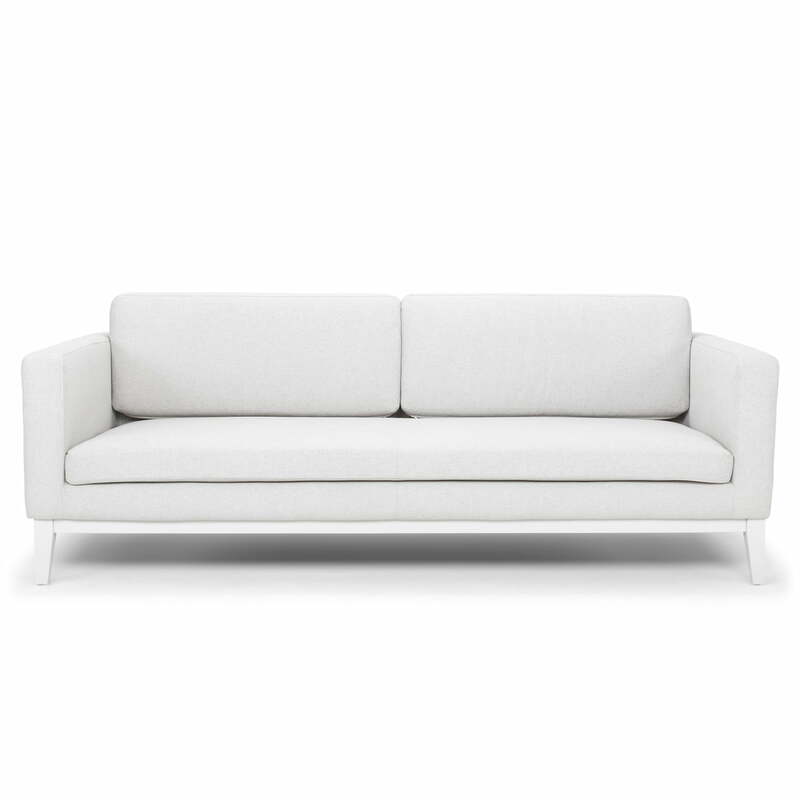 The base is lacquered to match the colour of the upholstery, creating an overall uniform, monochrome look. 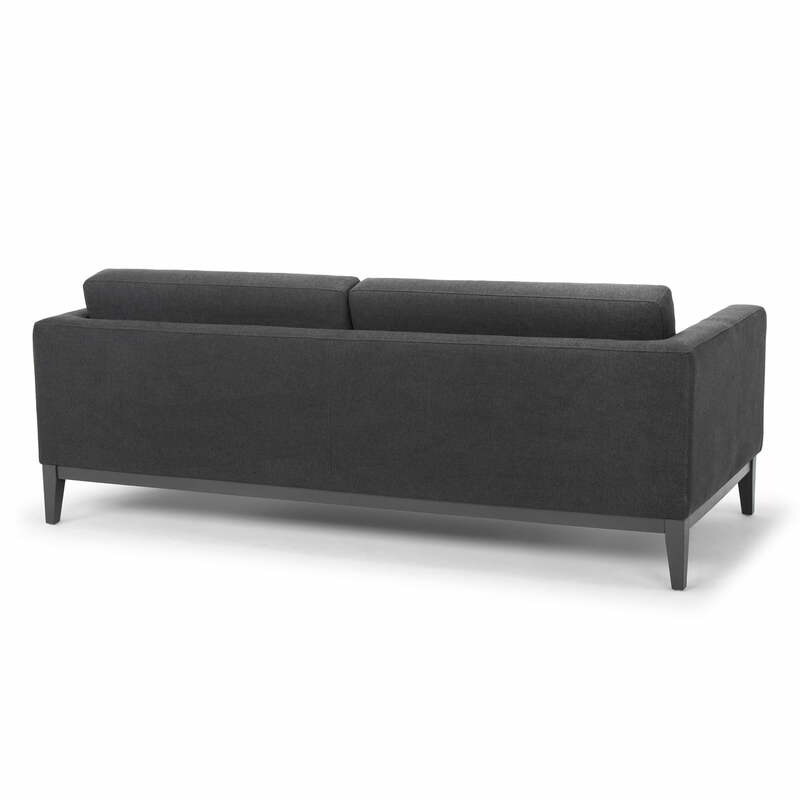 Design House Stockholm - Day Dream Sofa, dark grey The Day Dream sofa by Design House Stockholm is closely related to the Day series and is characterised by its modern look in the typical Scandinavian design. The coloured lacquered base is made of solid wood. 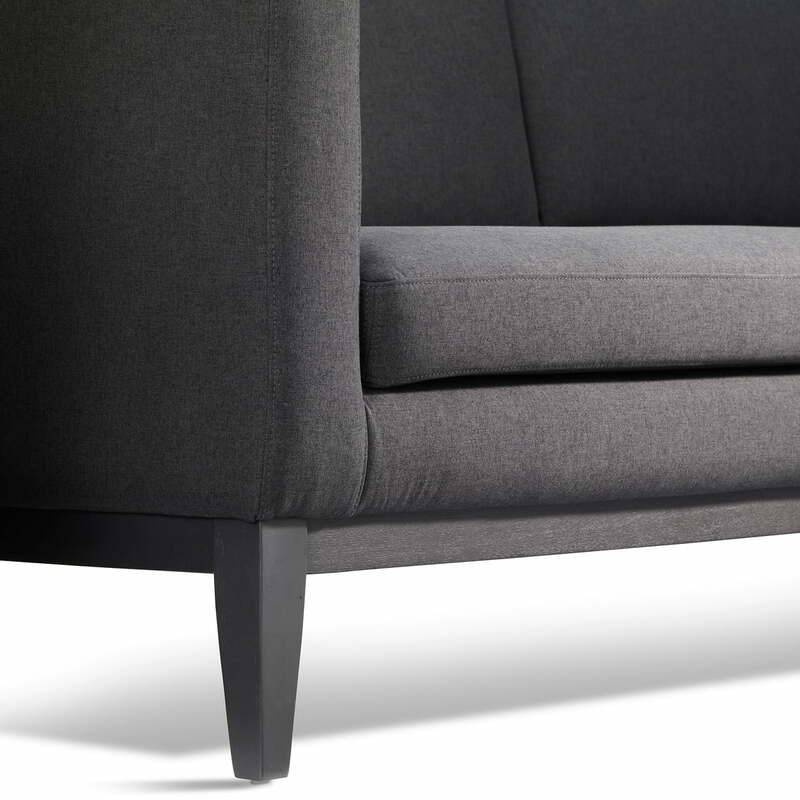 Detail product image of the Design House Stockholm - Day Dream armchair, dark grey. While the base is made of solid wood, the covers are made of polyester. A strong, good-looking fabric that does not wear out compared to organic materials, but retains its shape and structure at all times. 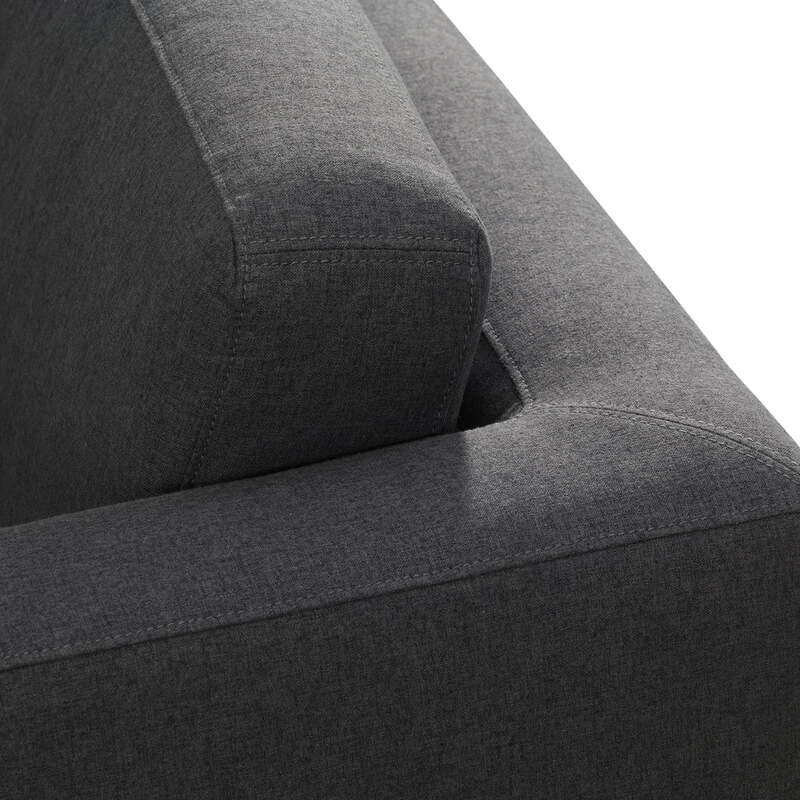 Detail product image of the Design House Stockholm - Day Dream armchair, dark grey. The wood base is lacquered according to the upholstery colour, which ensures a uniform look.